Darren Leiker updated the group on the City’s role in streamlining the permitting process. The Asst. City Manager has taken the lead on this. They have had a focus on meeting with various industry sectors to get feedback and have addressed many of the main issues. The City now provides pre-development meetings and checklists for businesses wanting to build and is redesigning the layout of the permits department to make it more accessible and accommodating. One of the key target markets for Wichita Falls is aerospace manufacturing. For the last four years, the Chamber has been working to bring these types of manufacturers to our area. The Chamber’s www.landinwichitafalls.com website was created specifically for this purpose. Incentives – a listing of offerings in our E.D. tool kit to lure companies here. Community Profile – A key document of accurate stats, indicators and data on our area. • Survey was sent to manufacturing companies only: 1) to get high-level data for their employees and how they attract new employees, 2) help the companies to look inside their own practices and methodologies, 3) keep communication fluid with major employers here in town. • Consisted of 11 questions. Average age of employee is 35-44 years with no company having employees in the 18-24 age range. • Only 20% of the respondents gave bonuses to potential recruits. • Information will be shared with the talent partnership group and see how it relates to working with the universities and Workforce Solutions and similar groups. • Over half of the surveys were completed. -Chamber can work on recruiting these positions. • Programs need to be developed to get kids in the local workforce. Regarding the Talent Partnership Pipeline, Henry gave an update on the process of hiring that Director. Hiring is anticipated by the end of the year. The primary duties of the partnership will be creating a structured internship program, promoting internships with local employers, partnering with Sheppard AFB and working with our schools for longer-term programs. Marketing Director, Katie Britt, has begun updating verbiage on the site and implemented Search Engine Optimization (SEO) to improve our search results. Email campaign began January 21, 2019, in an effort to funnel more traffic to the website and generate more leads. Kevin Pearson presented a list of Trade-shows he will be attending in 2019 and Katie has digital marketing planned to complement those efforts. Printed marketing collateral in the works as well. Synchronist Software added for tracking business needs. Gazelle.ai added to track businesses that are likely to expand. Advance programs and policies that improve the local business climate and give Wichita Falls the best chance to grow jobs and investment in the coming years. A primary focus for this strategic planning process was the community’s desire to become more prosperous. This will require increasing and improving opportunities for employment. Most individuals and households rely upon the availability of quality jobs to increase their standards of living. On a larger scale, wealth accumulates in regions when local business establishments “export” goods and services to other markets in the United States and beyond. So while every aspect of this Strategy can help make Wichita Falls more economically competitive in the long run, a holistic approach to economic development must also consider opportunities to grow jobs and investment sooner rather than later. In fact, employment growth is primarily driven by the other two legs of the stool – expansions of existing businesses and entrepreneurship. Successful communities now pursue a balanced approach that incorporates business recruitment, business retention and expansion (BRE), and support for new enterprises. 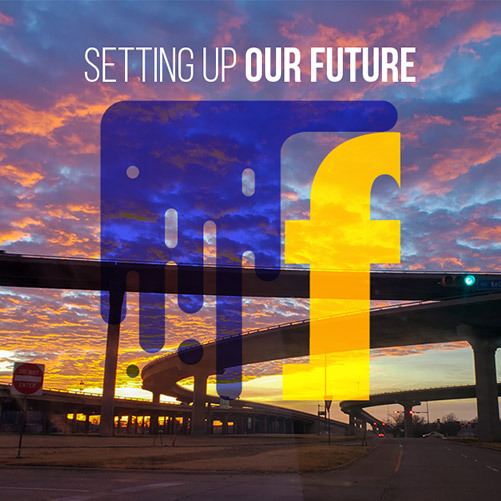 This portion of the strategic plan focuses on programs and policies that Wichita Falls can pursue to grow jobs and investment in the next five years. Additional opportunities to enhance entrepreneurial activity are addressed separately with the Makerspace initiative.  Attract and retain residents and businesses: This Catalyst focuses specifically on attracting and retaining businesses and ensuring a competitive overall business climate.  Increase prosperity for all residents: Creating an attractive environment for jobs and investment is critical to raising standards of living for residents in Wichita Falls.  Enhance the quality of life and quality of place: Business attraction and retention has an indirect yet major influence on community vibrancy.  Promote inclusivity and equity: Many businesses now recognize diversity and inclusion as core values that impact the bottom line; this Catalyst includes a Tactical Recommendation that seeks to create a business culture of inclusion and expand opportunities for all residents.  Improve internal and external perceptions of Wichita Falls: While business location decisions are influenced by many factors, a reputation as a “good place to do business” is a valuable asset. Scott Poenitzsch, Horseshoe Bend Cellars Vineyard & Winery, Inc.
Target industry has been identified as Aerospace Manufacturing. This initiative will be led by the Chamber, with Kevin Pearson in the driving role. Kevin has been actively targeting this industry since 2016. • Most best-practice BRE programs utilize specialized software to track and manage existing business and coordinate partner responses to identified opportunities and challenges. Wichita Falls has an established BRE initiative but lacks these important tools. The Chamber has a designated BRE staff member, Travis Haggard. • Examine planning/zoning and other regulatory conditions, site access, environmental conditions, building condition, etc.